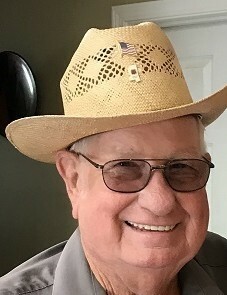 Walter Graden Crimm, 79, went to his heavenly home on February 12th, 2019 at St. Dominic Hospital surrounded by his loving family. He was born on February 19th, 1939 in Forest, Mississippi to Clarence and Beulah Crimm. He is survived by his loving wife of 60 years, Estelle, his children Carolyn (Tom) Cooper, Judy (Stan) Williamson, Larry (Ronena) Crimm, Cindy (Mark) Bird, LeReece (Sabrina) Crimm, son-in-law Kenneth Robinson, 20 grandchildren, 30 great-grandchildren, 2 great-great-grandchildren, a sister Q-Jett (George) Boone, and a host of nieces, nephews, and cousins. He is proceeded in death by his parents, siblings: “James” Clarence Crimm, “Elvie” Eugene Crimm, “Aline” Nicholas, Clyde Crimm, Christine Burney, Erma Ruth Clark, Herman Crimm, Tressie Clark and Aubert Crimm, and his daughter Cathy Robinson. Graden, by trade, was a metal fabricator. In his later years, he helped design and build Family “C” RV Park. He enjoyed life outdoors, riding tractors, and playing guitar. He was a member of Ephesus Baptist Church. Funeral services will be conducted at 2pm Friday, February 15, 2019, from the Ephesus Baptist Church with interment to follow in the church cemetery. Visitation will be held from 6pm-8pm Thursday, February 14, 2019, and again Friday, February 15, 2019, from 11:30am- 1:30pm prior to the service at 2:pm at Ephesus Baptist Church. Funeral services provided by Ott & Lee Funeral Home of Forest. In lieu of flowers, memorials may be made to the Gideons International P.O. Box 804 Forest, MS 39074 or Ephesus Baptist Church Sound System Fund c/o Ephesus Baptist Church 3535 Ephesus Rd. Forest, MS 39074.